Mayor Megan Barry, Metro Nashville Department of Public Works’ Solid Waste Division, and the Natural Resources Defense Council (NRDC)'s Nashville Food Waste Initiative partnered in January 2017 to challenge area restaurants to work to reduce their food waste over a 30-day time frame by taking five steps from a menu of options. In November 2018, Mayor David Briley partnered with the same organizations - as well as the Greater Nashville Hospitality Association and Nashville Originals - to relaunch the Challenge on a continuing basis. By participating in the Mayor’s Food Saver Challenge, hospitality and food service businesses can reduce the amount of food sent to Middle Tennessee landfills while helping to relieve hunger by donating wholesome, edible food to local nonprofits serving over 100,000 food-insecure residents in Davidson County. More than 50 restaurants signed on to participate, and now the group is working to bring more organizations into the fold and continuing to drive results through collaboration, education and inspiration. 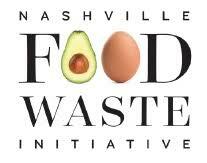 Both the Nashville Food Waste Initiative and the Mayor’s Food Saver Challenge focus on landfill-diversion strategies based on the U.S. EPA’s Food Recovery Hierarchy, which outlines, in rank order, the most effective management strategies for wasted food that offer the greatest amount of environmental, social and economic benefits. Up to forty percent of all food in America goes uneaten, with 95 percent of that wasted food ending up in landfills or incinerators, according to NRDC. In 2015, NRDC selected Nashville as its pilot city for developing high-impact local policies and on-the-ground actions to address food waste. Up to forty percent of the food we produce in the United States goes uneaten. When we waste that food, we waste all the water, energy, agricultural chemicals, labor, and other resources that go into growing, storing and transporting it. Most waste occurs among consumers, restaurants, grocery stores, and institutional food service operations. This Challenge will engage many hospitality and food service businesses of different types in reducing and raising awareness about food waste. Participating businesses will save money by adopting practices that reduce food waste. Businesses that complete the Challenge will be recognized by the Mayor. 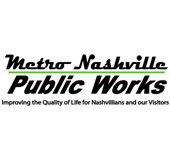 Businesses that sign up to send organic waste to be composted through one of Nashville’s compost haulers will receive a discount if participating in the Challenge. Benefits to the community include increasing the amount of donated food, reducing the amount of organic waste sent to landfill, and raising local awareness.